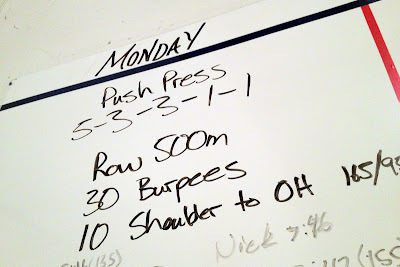 I was still sore from Saturday's lifting class at Catalyst, but oddly enough, I found myself looking forward to getting more practice lifting a barbell overhead. Push presses have never been my forte, and I didn't come close to my max weight today, but it felt good to get in the groove anyway. This was a quick one, but not quick enough. 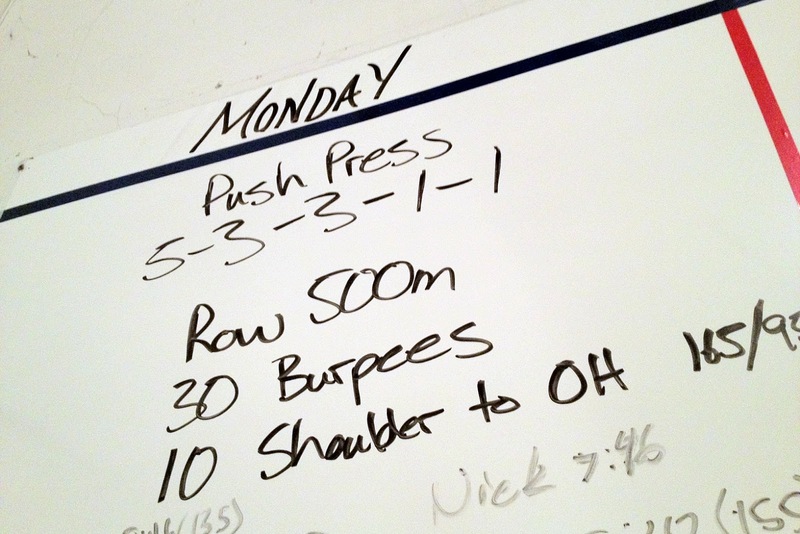 We last did this workout a year and a half ago, and I finished in 5:52 -- half a minute faster than my time today. I have no idea where the time went; my 500-meter row time didn't vary much, my burpees were steady and unbroken, and I used the same weight as before. Perhaps I'm just getting slow in my old age.